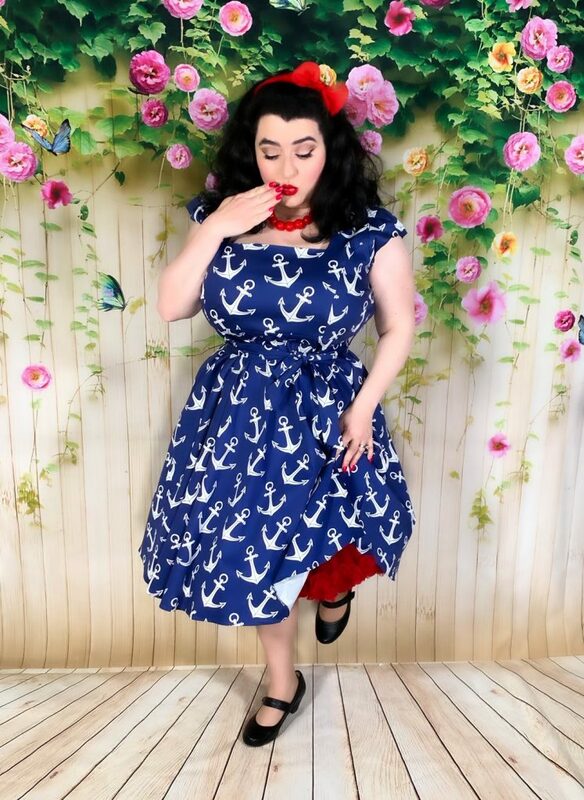 It’s not often I find a feminine and flattering fit and flare dress with a cute anchor print that fits just right. 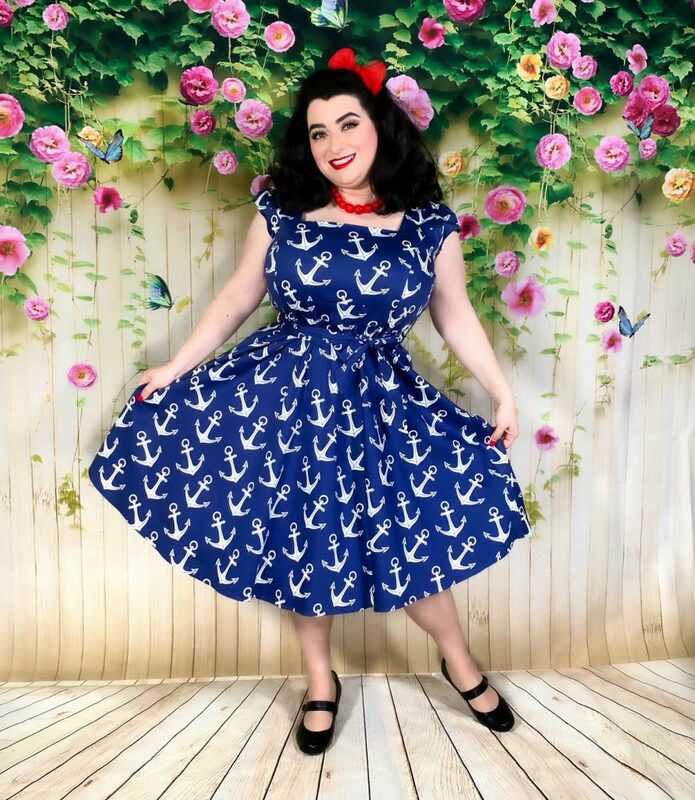 I love all things nautical so when I saw this Lady V of London Swing Dress – Nautical print I was so excited to get my hands on it and new I’d be wearing it all Spring and Summer long. 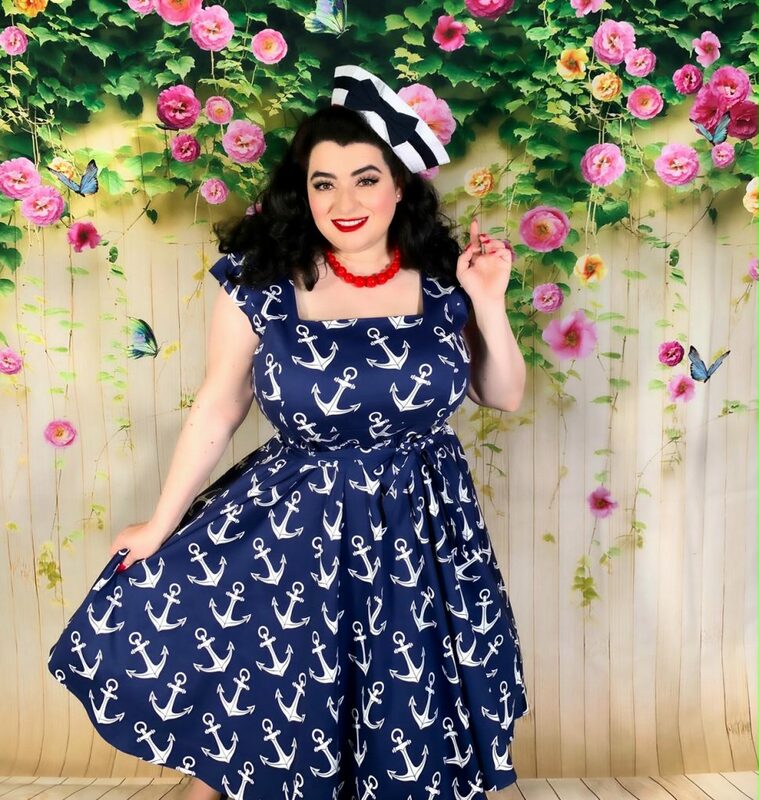 I have shared my love of the Lady V of London brand with you all many times but it is usually for the fabulous Lyra wrap dresses I am obsessed with (you can see posts here, here, here, and here). The Swing dress is a new style for the brand and it is already selling out like hot cakes. The Swing dress comes in curve friendly sizes 14-32 and is made from 97% cotton and 3% elastine with a square neckline that is work appropriate, has deep pockets, zips up the back and has a tie belt so you can nip in your waist. I styled the dress very simply as I wanted to showcase the beautiful print. I am wearing a petticoat for added fluff, red necklace and hair bow and my favorite Kate Spade wicker crab purse for the retro twist I adore. The dress fits so perfectly and the fabric is a very nice weight so it can easily go from Spring to Summer and adding a colorful cardigan will make the dress pop. I am excited to wear this dress down to the harbor and set sail!! 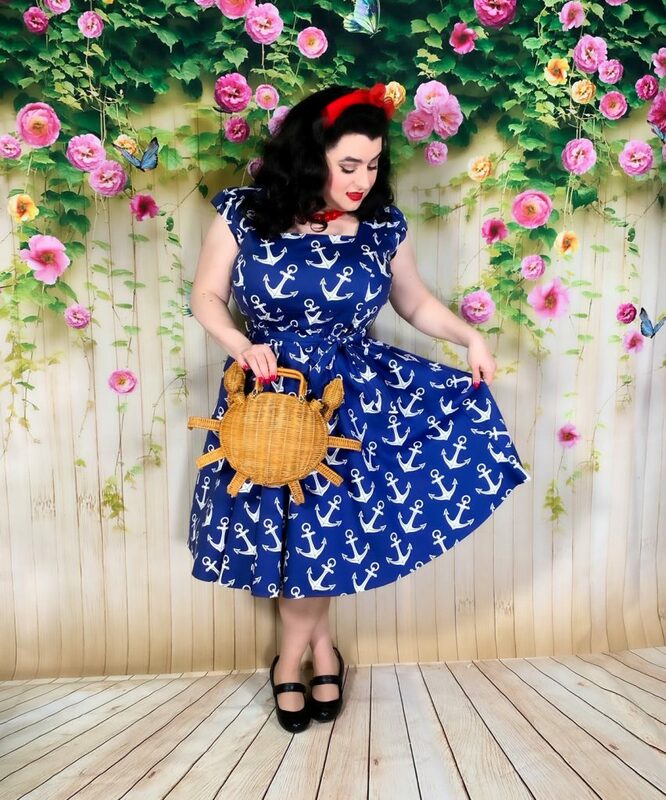 This Swing dress in nautical print dress is selling out so hurry and snap yours up while they last. All pics by my sweet hubby by Gary Greco.